​The McCreary School Industrial Arts Program is happy to announce that we have received a provincial grant in the amount of $52,000.00, to be used to purchase an Epilog Fusion M2 40 Laser. 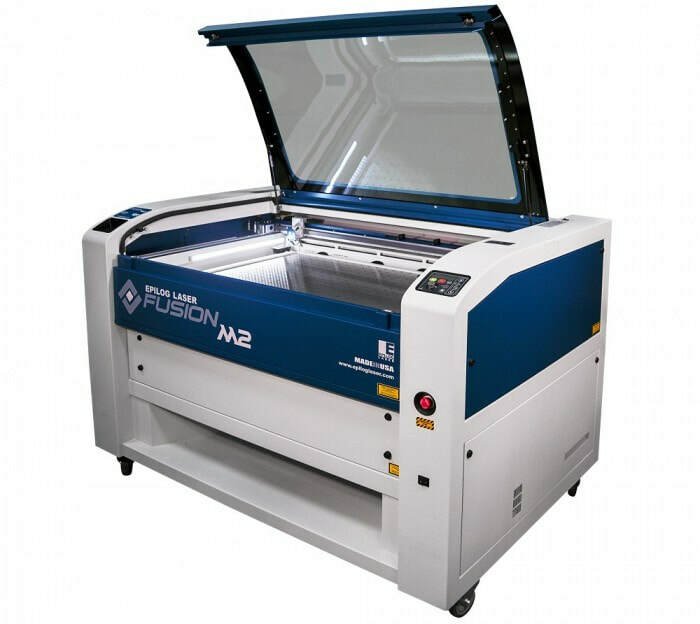 This laser is capable of engraving, etching, and cutting in a large variety of materials and will be a large asset in meeting the objectives of the program. ​The Skills Strategy Equipment Enhancement Fund provides targeted funding to ensure that students have access to state of the art equipment to learn the high-demand skills they need to get good jobs in Manitoba's growing economy. The Skills Strategy Equipment Enhancement Fund provides $1,500,000.00 to improve technical vocational and industrial arts programs in Grades 7-12. This support is intended to ensure that programming is relevant to current and future labor market needs. This fund will focus on preparing students to take advantage of employment opportunities in Manitoba’s growing economy and to continue the development of Manitoba’s skilled workforce. The fund will further support the need for advanced equipment pertaining to “Green Jobs” in Manitoba. Particular emphasis will be placed on supporting high school level programs to become accredited with Apprenticeship Manitoba.